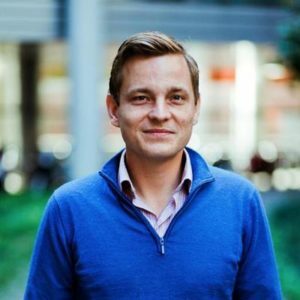 Today’s interview is with Sebastian Klien, co-founder of Blinkist, an app-based company that provides powerful, actionable, 15-minute reviews of over 1,000 books per year – letting their users learn more, be more and do more, without spending hours upon hours reading all those books for themselves. Sebastian’s got some really interesting insights on being focused on monetization from the start, and what it’s been like to adopt parts of the Holacracy management system within Blinkist. Sebastian studied psychology in university, and said during that time he read tons of business books because he really enjoyed the insights he could get out of them. But when he hit the work force as a management consultant, he found himself working 70 to 80 hour weeks, which meant he didn’t have any time for reading anymore, and he found himself wishing there was someone out there who could read all the great business books for him and tell him what all the key, actionable messages were. So, three years ago, he and his co-founders quit their full-time jobs to focus on starting Blinkist. Because a 10-15 minute summary obviously will never be quite as beneficial as spending 10 hours to read a book, Blinkist doesn’t claim to be a replacement for books – but rather a quick way to get really smart, actionable insights and to help readers pick and choose the books and topic the really want to spend their time diving into. It’s also incredibly convenient for people who don’t want to read or don’t have the time to. But rather than presenting their book reviews in the old-school way, Blinkist focuses on key, actionable messages with single pieces of information people can digest and act on. It seems to be working, because today, they’ve got around 250,000 users in more than 130 countries, with $100,000 in revenue each month. According to Jason Lemkin, it takes about two years to gain traction with a business model like the one Blinkist has, and Sebastian says that estimate was spot-on with their experience. It took them around a year and a half just to land their first 1,000 users, and they started out on kind of rockier ground, because they only had around 40-50 summaries available when they launched, it was German-only content. What helped, said Sebastian, was the fact that they got great press coverage in the beginning, and people really loved and latched onto the idea in general, even if the product wasn’t that fantastic yet. Because of what Blinkist does, Sebastian says it’s really easy for them to put together incredibly valuable pieces of content for popular online content portals. Because they’ve spent time reading so many books, they easily know the 7 most important takeaways from a bestseller, the 50 best business books of the past decade, and the most common leadership principles showing up in books from the past year. Without their knowledge, it would take ages for a writer or editor to read the books and put the information together. And providing this value is paying off. For example, an article published on Forbes brought 100,000 visits back to their site and gave them around 500 new users. According to Sebastian, it’s easy to secure your first, most basic round of funding in Berlin (think a few hundred thousand dollars), and it’s also easier to secure funding for growth – when you’re ready to take on a couple million dollars. But keeping your company afloat in the in-between stages is what’s difficult. For this, in the German startup economy, it’s super important to focus on monetization from the very beginning, because it’s essential to start generating income very early in the business lifecycle. In fact, the difficulty in raising money was so real for Blinkist that they nearly ran out of cash and had to stop paying salaries at one point until the new funding finally came through. Sebastian said it was great to see that their employees were committed to and believed in the company’s vision, but it was a two-month period of stress that he says he’d rather forget. Holacracy is a complex concept for management, but the general idea is to delete management and drop job titles in order to remove hierarchies and try to establish a more democratic atmosphere. There’s still clear rules and responsibilities within a Holacracy, but it’s a more flexible approach to having smart people work together to produce incredible, unforeseeable results rather than relying on the vision of a couple of founders to drive the company forward. Sebastian says the adaptation within Blinkist has ben really positive – their employees are much more effective and motived because they’re able to move past traditional hierarchies and take on more responsibilities. Everything within a Holacracy is transparent, so if someone doesn’t perform, it’s obvious to everyone and not just their manager. Sebastian says it helps you create an organization that’s really good at getting rid of people who aren’t good enough. If you’re curious about how the actual implementation of Holacracy would work in a company, Blinkist put together a free ebook called Blinkracy on what it was like for them. According to Sebastian, things like skills and experience are very easy to assess, but he’s always trying to assess someone’s intelligence level and company fit before he brings them on as a full-time member of the team. His #1 hiring secret is that he would never hire someone if he hadn’t worked with them first – either as a freelancer or on a project – to be able to measure their working capacity. Even if they’re desperate to fill a position, Sebastian says they’d rather leave the role open and take the time to find someone who is a good fit. In fact, Sebastian thinks hiring is so important that if he ever founded another company, he’d hire a really good HR person as one of the first 10 employees. Sebastian says their biggest hiring disasters came from trying to hire someone to do something they didn’t really understand themselves. For example, they hired 3-4 people to take care of online marketing, but because they didn’t understand it for themselves, they had no idea how to assess what a person had to bring to the table. After the fallout with those employees, they realized that they had to learn online marketing within their company to a certain level before they could find someone to continue it as a new employee. Sebastian says he doesn’t really have an idol, but he does really look up to Jeff Bezos because he’s so visionary and he had the idea of the ‘everything store’ based online before people in Europe accepted the fact that the internet was something that wasn’t going to go away. Sebastian says it’s crucial for productivity and having a good outcome to be focused on why you’re doing something before you even start it. He says this focus makes it much easier to properly focus on the task at hand and to not slack off. Sebastian recommends reading Conscious Business, because it is very complimentary to the idea of establishing a Holacracy in your company and finding people who are the right fit for your office environment.